The Olympic Logging Conference Foundation, 501 (c) (3) 81-4466161, is organized exclusively for charitable, educational and scientific purposes including the making of distributions to persons seeking advanced education or organizations that qualify as exempt organizations under Section 501 (c) (3) of the IRS code. 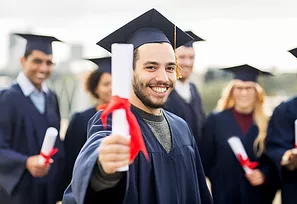 Scholarship awards may be used for tuition, books and/or room and board for students attending any college, university or vocational/technical school. A minimum $500.00 shall be awarded annually and will be paid directly to the recipient's post-secondary institution. Current OLC attendees, children/grandchildren of current OLC attendee or children/grandchildren of past Board Chairman. Current member is defined by paid membership within the past two years. Application must be completed in full and supporting documents submitted with application. Preference may be given to forestry related fields but not exclusively awarded to such candidates. Applications must be emailed to scholarship@olcnw.com	by April	1	to be considered for award distribution within the upcoming school year. Confirmation of receipt will be emailed. Current resident of Western Washington. Employee of a current OLC member. Current member is defined by paid membership within the past two years. Preference may be given to timber related fields but not exclusively awarded to such candidates. The Kevin Worley Memorial was established by Paige Pearson, Nick Worley, Colton Worley and family in memory of their father. We thank them for their generosity in providing funding for this scholarship. Kevin Worley devoted his entire 38 year career to the timber industry. At the time of his passing, he was owner and president of Forks Fiber Management, Inc. He was on the board of directors for the Olympic Logging Conference where he served as chairman of the 70th annual conference. He also served as past president of the Washington Trucking Association-Log Truckers Conference, where he was still a member. Kevin was also a long-time member of the Washington Contract Loggers Association. His passion for the timber industry was exceeded only by his love and commitment to his family and friends. Games of cribbage with his buddies, family card games, golfing adventures, fishing expeditions, watching sporting events and family vacations were what he truly loved. His children and family want to continue to honor his memory and his love for the timber industry by awarding the Kevin Worley Memorial Scholarship to a deserving student each year. Is the Son of Brian and Sue Carbaugh. He is Pursuing a career in Forestry. Forrest will graduate from North River High School in June with a 3.98 GPA. He is the student body president and is active in cross country, track and field, basketball, knowledge bowl and drama. Forrest will attend Grays Harbour College in the fall where he plans to complete a Natural Resources Forestry Technician A.A.S degree. He then plans to achieve a Bachelor of Science from University of Idaho or Oregon State University. Currently studying a general AA transfer degree at Lower Columbia College with plans to transfer for a bachelor degree after graduation. Jessica is pursuing a career in natural resources outdoor recreation. Currently studying at Grays Harbor College in a Associate of Arts direct transfer degree. Brianna will transfer to Whitworth University this fall where she will continue her pursuit for a bachelor of arts in graphic design. Will graduate from Graham Kapowsin High school in June. He plans to attend Boise State this fall where he will study computer science with an emphasis in cyber security. Studying science at South Puget Sound Community College with plans to transfer to University of Washington where she will study pre med. Jamie has a goal of obtaining a doctor degree. Studying recreation and tourism management at University of Idaho. Boomer has a goal of becoming a park ranger. Studying towards a bachelor of science in forest resources management at Grays Harbor College with graduation in June 2019. Riley has a goal of becoming a forester. Studying mathematics at Grays Harbor College and is planning to graduate in June 2019. Wyatt will continue his education to achieve his doctorate in mathematics with a career goal of becoming a math professor.